References: 1. Hendriksz CJ, Burton B, Fleming TR, et al. 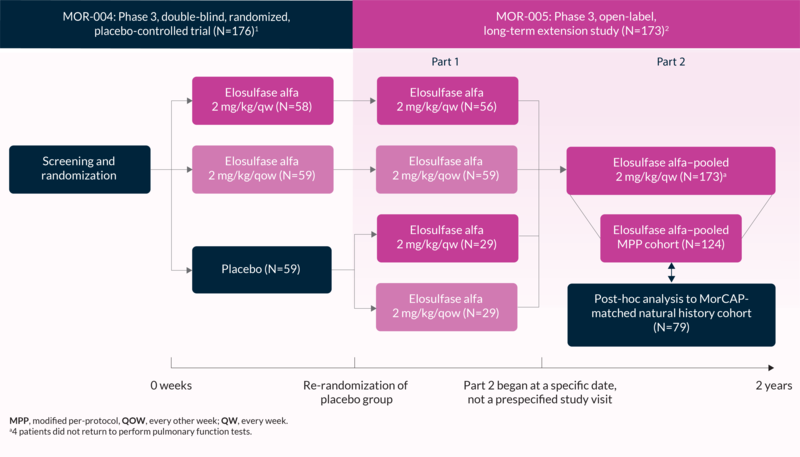 Efficacy and safety of enzyme replacement therapy with BMN 110 (elosulfase alfa) for Morquio A syndrome (mucopolysaccharidosis IVA): a phase 3 randomised placebo-controlled study. J Inherit Metab Dis. 2014;37(6):979-990. 2. Hendriksz CJ, Parini R, Al Sayed MD, et al. 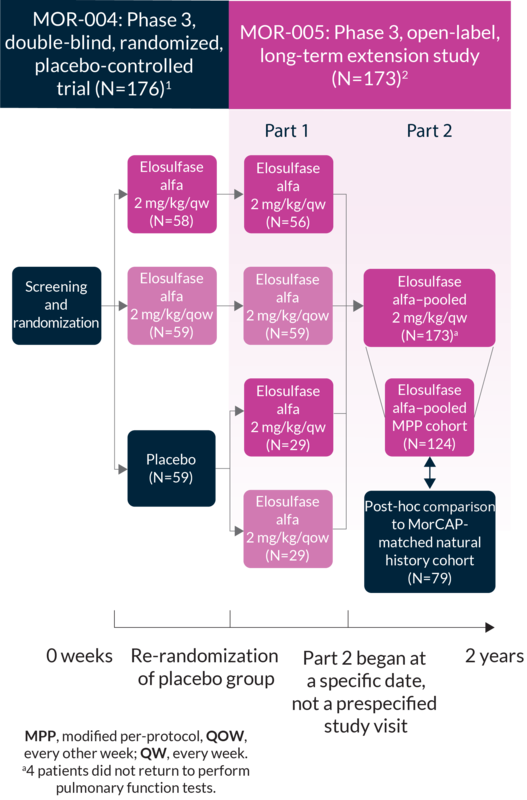 Long-term endurance and safety of elosulfase alfa enzyme replacement therapy in patients with Morquio A syndrome. Mol Genet Metab. 2016;119(1-2):131-143.